Hey guys! I've been on a roll reviewing skincare products in the past weeks so I'm thinking it's okay to deviate from it with this entry about makeup. 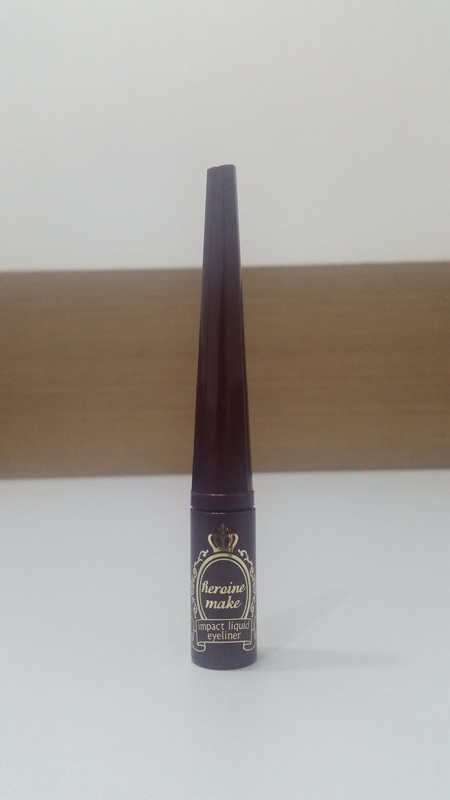 Early this year, I got an invitation from Mandom Philippines Corporation to attend the launch of Heroine Make's latest addition to their growing number of makeup products, the Kiss Me Jewelry Eye Color. 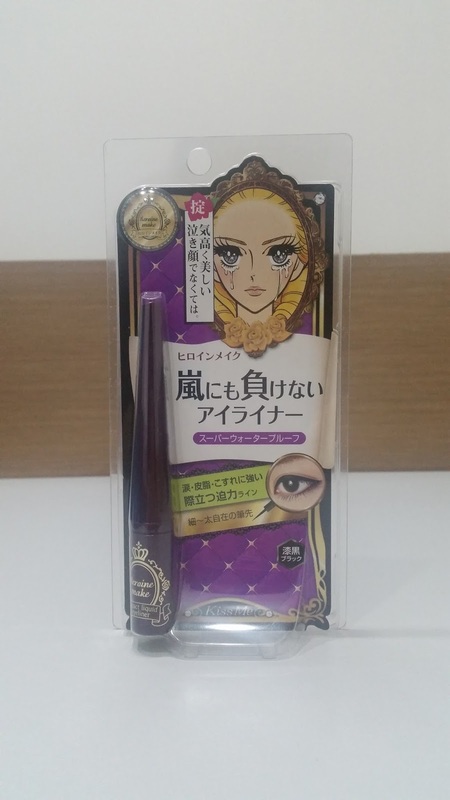 After the event, I was handed a paper bag filled with goodies from the brand including the Kiss Me Heroine Make Impact Liquid Eyeliner (Php 595 / 2.5g). Hey guys! I'm not sure if you noticed that I've been posting reviews mainly on VMV Hypoallergenics since October started. This is because I can't wait to share with you how I'm loving this brand. I took advantage of their 25% off promo and got myself a complete skincare set that I recently reviewed plus several other items I'll be featuring soon. 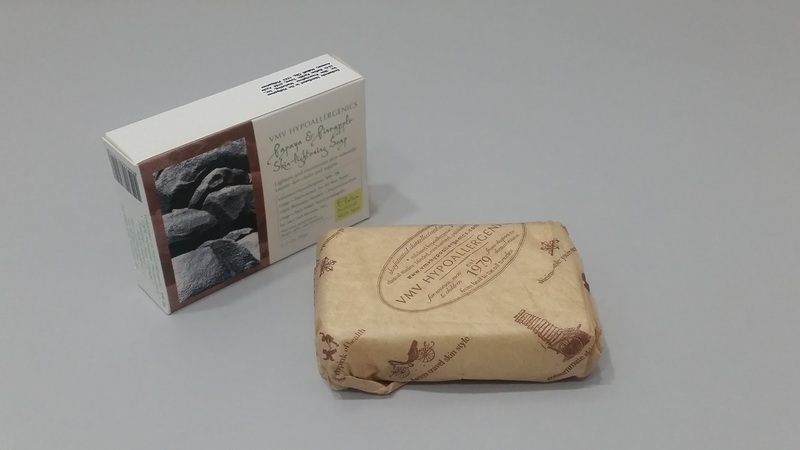 For this post, I'll be talking about a soap I've repurchased and have been using for more than a couple of months now. 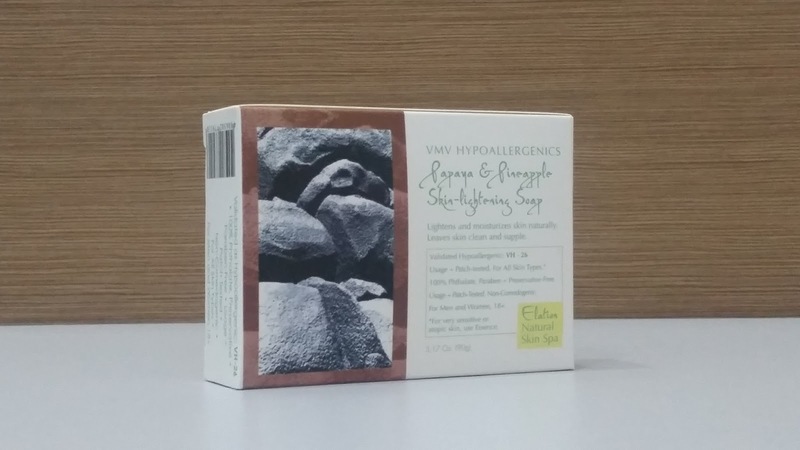 This is the VMV Hypoallergenics Papaya & Pineapple Skin Lightening Soap. This bath soap has a simple yet chic packaging. 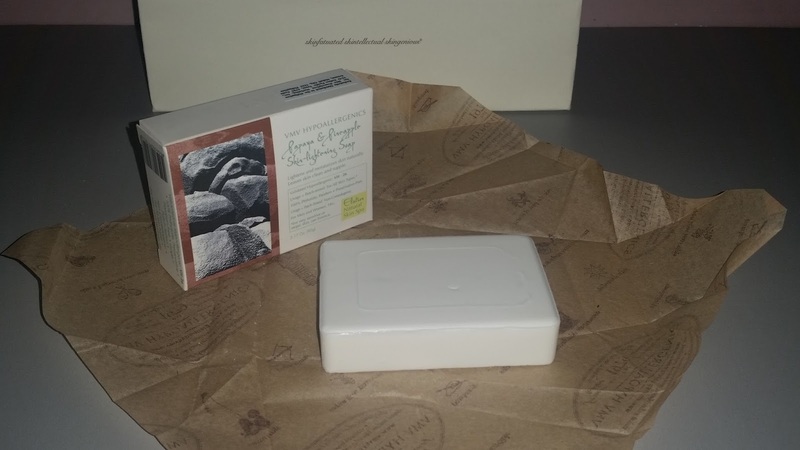 It's a medium sized soap that's opaque white and has no distinct scent. It easily creates a fine lather when used on moist skin. It feels so smooth and creamy just like a liquid bath soap. I love how it rinses off easily and leaves your skin clean without feeling dry like most bar soaps with papaya tend to do. I noticed micro peeling on certain areas of my face like on the forehead, around the nose and on my chin. What I do like about it is how discreet the peeling skin appeared. You wouldn't even notice it with a tinted moisturizer or BB Cream on. I noticed my skin tone was beginning to get even in a week and pimple marks looked less obvious after about 2 weeks of everyday use. This is actually a big improvement for me since my pimple marks always seem to stay on for a month. Overall, I am loving this heavenly soap to bits that I'm definitely retaining it as my daily bath soap. You get the cleansing and lightening benefits of papaya as well as the hydrating and softening properties of pineapple in one bar for just Php 295. 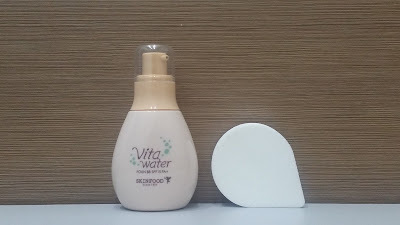 This soap can last for up to 6 weeks when used twice everyday but it may take longer depending on how often you use it. 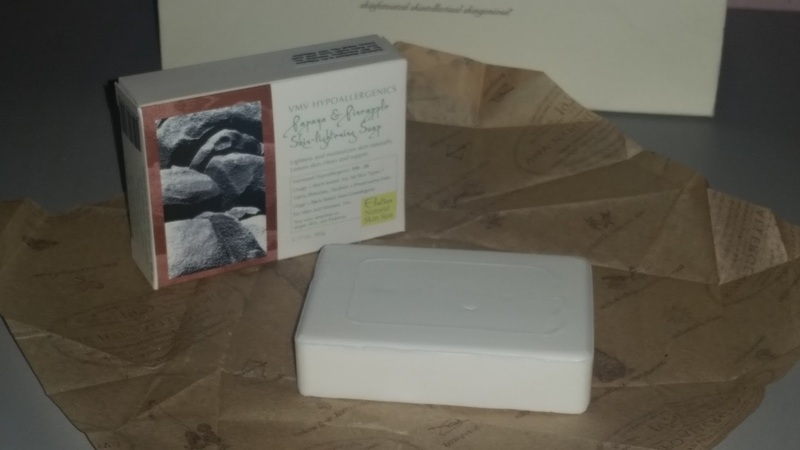 This may be too steep for just a bar soap but believe me when I say that your skin will definitely thank you for it. 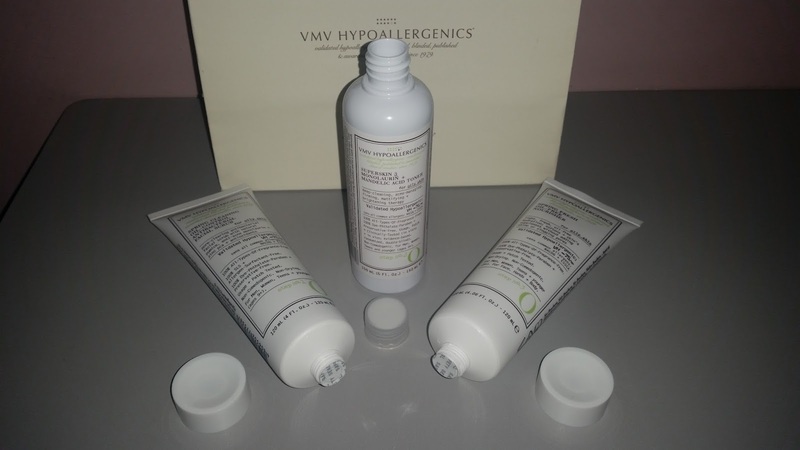 You may get this and other VMV products in all local branches of VMV Hypoallergenics and on their official website. That's about everything! If there's anything you want to ask just leave your queries on the comments section and I promise to get back to you the soonest time possible. Thank you for reading my blog and have an amazing week! Hey guys! If you have been visiting my blog for some time now (thank you!!! ), you'd know how crazy I am about BB Creams. Although I do enjoy being dolled up occasionally with full coverage makeup, I usually prefer (and can only manage) a simple everyday look. In my vocabulary, simple equates to BB Cream or tinted moisturizer in place of foundation. Come to think of it, I'm really not much of a foundation user myself because I never get the right shade. So imagine my excitement when I learned about a product that offers the coverage of foundation and the comfort of BB Cream in one bottle. Allow me to introduce to you an awesome innovation, the Skin Food Vita Water Foun BB SPF15 PA+ (Php 1,100+ / 45 gm). Since the label is in Korean, I only managed to get information from their website. 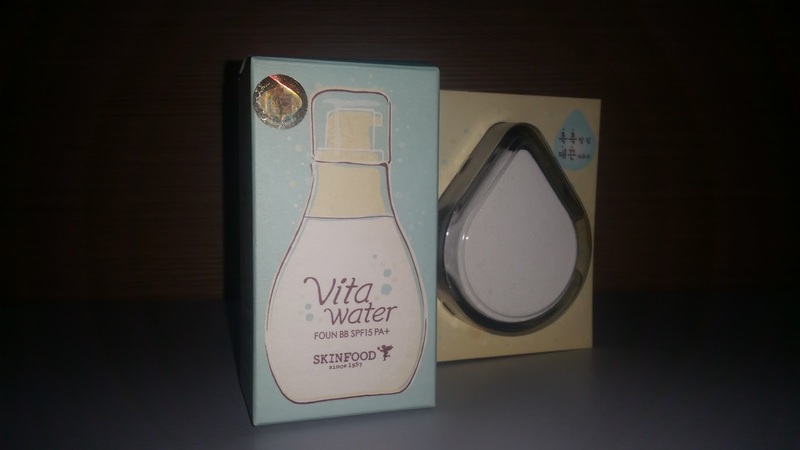 The Skin Food Vita Water Foun BB SPF15 PA+ contains Vita Complex Extract which helps you achieve moisturized and velvety skin. It comes in 3 shades: #0 Porcelain Light Beige, #1 Light Beige and #2 Natural Beige. I'm an NC 25-30 and from the description alone I would've gotten #2 Natural Beige but Skin Food's beauty adviser said #0 Porcelain Light Beige matches my skin tone perfectly so I took her word for it. This product comes in a cute bottle with a pump dispenser which I love for ease of dispensing. The pump is protected by a snap-on transparent cap so you can bring this with you when you travel without the hassle of spilling the contents. Although it comes with a sponge applicator, I like putting this on with my finger tips in a patting motion. This product is unscented and has a creamy consistency. You may need to be quick when applying it on your face because it dries off fast. It instantly brightens your complexion and gives a matte finish that you can get away without a finishing powder. This foundation and BB Cream in one offers more coverage than a regular BB Cream but doesn't look cakey or feel heavy on your skin. It covered most of my minor blemishes but you may still need a concealer for more obvious marks. I love that it didn't irritate my skin or cause break outs. Staying power is quite decent and lasts for 6 hours after which I get a bit of shine on my T-zone. 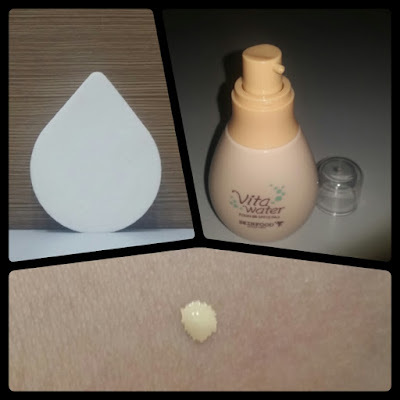 Overall, the Skin Food Vita Water Foun BB SPF15 PA+ is a great product to have in your stash. 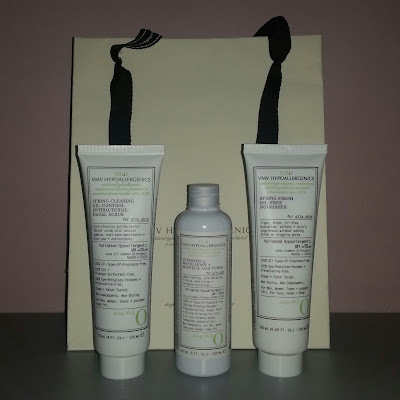 If you have combination to oily skin, this will definitely suit you. If you have normal or dry skin, you may need to moisturize your skin prior to application or simply use an after makeup mist to set it. Personally, I prefer a BB Cream that can give me a dewy finish like the Tony Moly Luminous Goddess Aura BB Cream hence it's still on top of my long list of favorite BB Creams. Any lingering thoughts? Do share them on the comments section below. Thanks for the visit and have a great week ahead! Hey guys! I'm pretty much excited to rave about a skincare line I've been using religiously for almost 6 weeks now. Before I reveal my current regimen, allow me to give you a gist of my skin condition. I have combination to oily skin and I've been fighting acne since teenage years. Needless to say that I was introduced to a vast array of products and procedures at an early age. Not that I'm complaining but I'm used to having more than a couple of products for my face alone. Since my battle against the big A started, I've been pretty loyal to my Dermatologist's products for nearly 2 decades as of today. Although YSA products still do wonders for my skin, I can't help but try other brands just to expand my options. A couple of months ago, I saw an obvious improvement on my friend's face. Hers was brighter and clearer from the last time I saw her. She said she went back to using products from an old time favorite, VMV Hypoallergenics. The brand is not new to me and I've tried their powder foundation in the past but I never got to use any products from their skincare line. Good thing VMV was having a promo so without thinking twice I got myself a set of products all at 25% off. Talk about great timing! 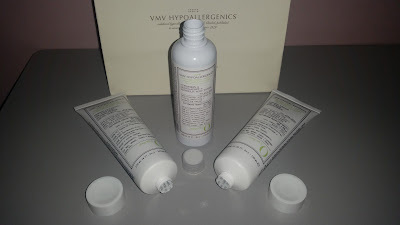 This post is about my 6 weeks experience with VMV Hypoallergenics' skincare system which is composed of three products for cleansing, toning and moisturizing the skin. The rest of the VMV products not mentioned in this post will be discussed separately in the next few days. 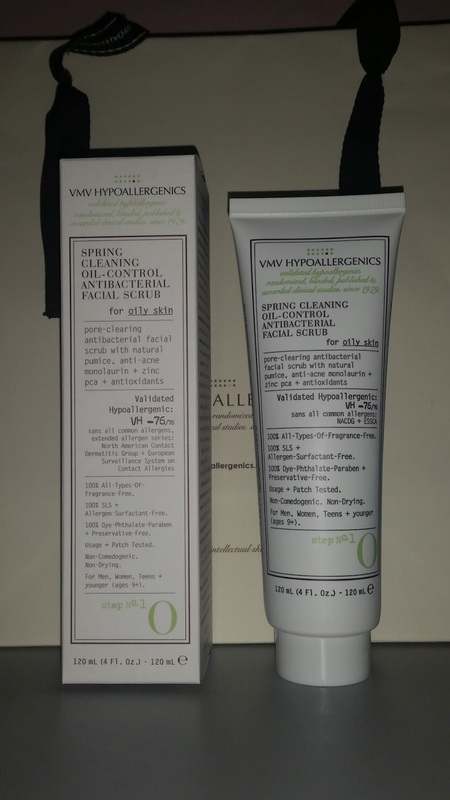 VMV Hypoallergenics Spring Cleaning Oil-Control Antibacterial Facial Scrub (Php 735) for oily skin comes in a 120 mL tube. I love the classic white color of the packaging which emanates a simple yet elegant vibe. I find the matte feel of the tube very appealing and quite useful because it's easier to hold even when your hands are wet. Although I would've preferred a flip top cover for ease of dispensing, the screw on cap that it comes with isn't so bad. The narrow spout is great for dispensing just the right amount. It appears milky white and has a thick creamy consistency. It's saturated with natural pumice that can thoroughly unclog your pores. I love that the micro-beads are just the right size so they don't feel too rough when massaged on your face and neck. This facial scrub is non-drying, doesn't sting and leaves your skin looking fresh and clear of dirt or makeup residue. 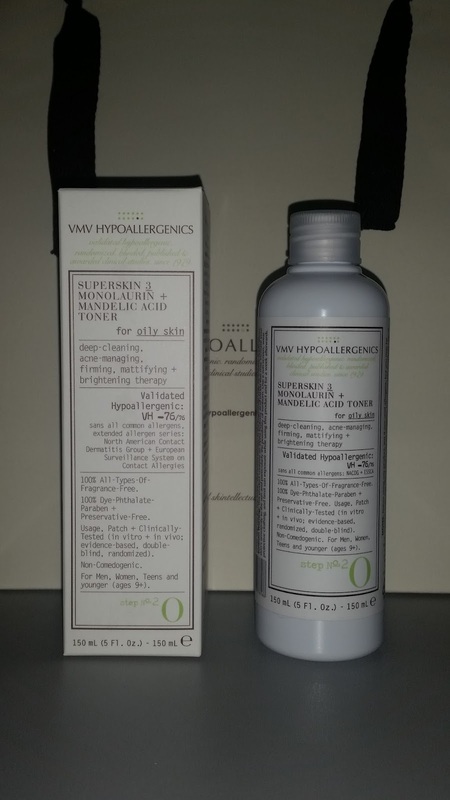 Next product is the VMV Hypoallergenics Super Skin 3 Monolaurin + Mandelic Acid Toner (Php 785) for oily skin. It comes in a 150 mL bottle with a screw cap. It has the same white color and matte finish packaging like the facial scrub. This is a clear toner which gives off a chemical smell that doesn't linger. It stings minimally and gives off a cooling effect on the skin. The toner didn't irritate my skin, cause redness or peeling probably because I strictly followed VMV's application frequency guide (See Notes below). I started with applying the toner once a day for twice a week and gradually progressed until I reached the 6th week mark of everyday application. This toner has Monolaurin, a potent anti-bacterial and anti-fungal that effectively addresses acne and helps mattify shiny skin. Mandelic Acid on the other hand provides firming, anti-aging and brightening. 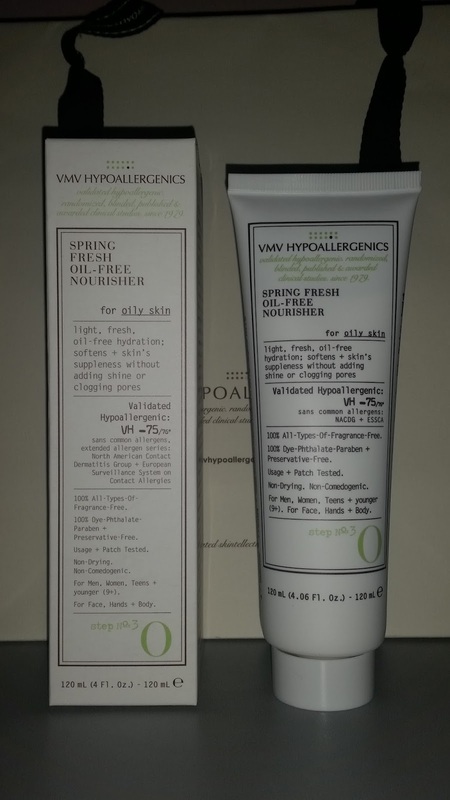 Last product is the VMV Hypoallergenics Spring Fresh Oil-Free Nourisher (Php 845) which, like the facial scrub, comes in a 120 mL tube. 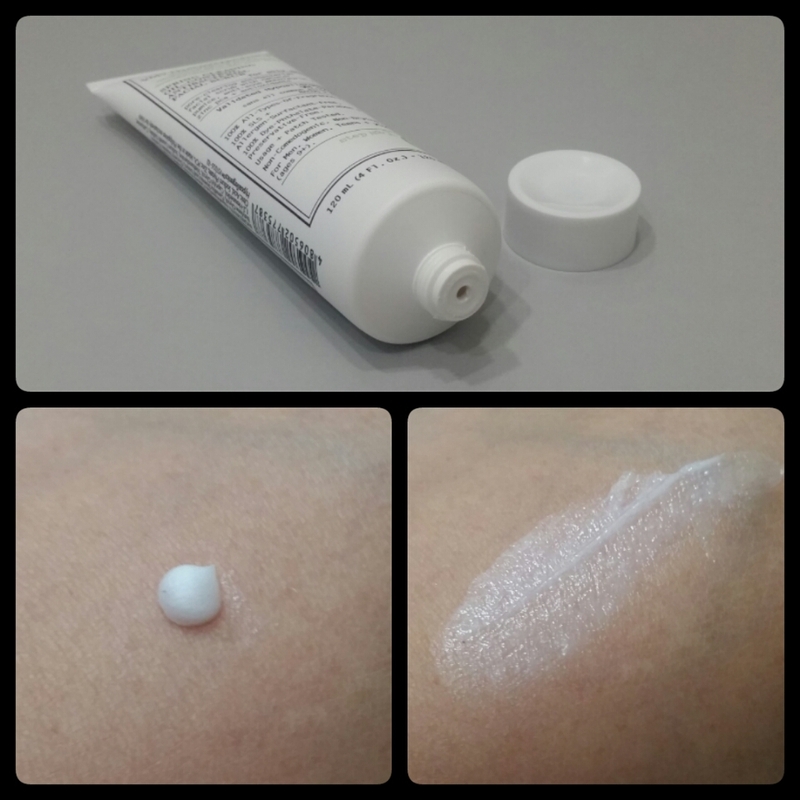 This moisturizer is opaque white, has a creamy consistency and is unscented. I love how it moisturizes my skin without the heavy feeling. It doesn't clog your pores and gets easily absorbed so you won't have to wait long before applying sunscreen or foundation. It also keeps your skin well nourished overnight so you wake up with a freshly moisturized skin everyday. If you haven't noticed, the VMV products I just presented are labeled steps 1, 2 and 3. This way, customers will be guided on how to use the products in proper order. 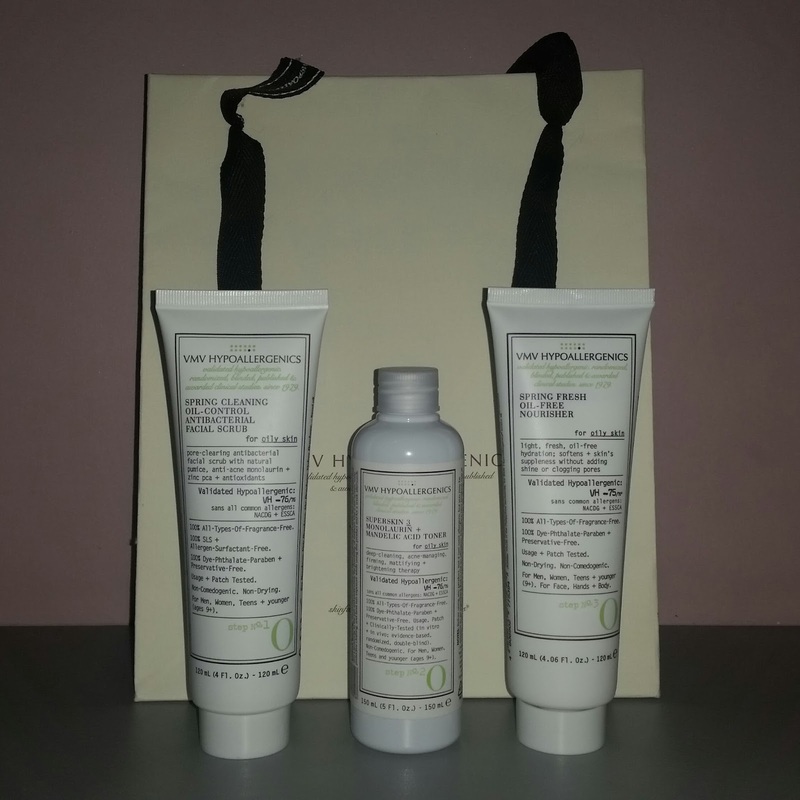 If you're new to VMV Hypoallergenics like me, you will be eased into their skincare lines gradually by starting with these 3 basic products. Even if you already have a skin concern you want to address, they will start you off with the basics and eventually add specific treatment products like anti-acne, anti-aging or brightening. After 6 weeks of using these, my skin visibly improved with more even skin tone and less pimple breakouts. Since I got all these at 25% off, I really got my money's worth. Nearly 2 months has passed but these are still more than half full and I'm definitely repurchasing once any of these run out. 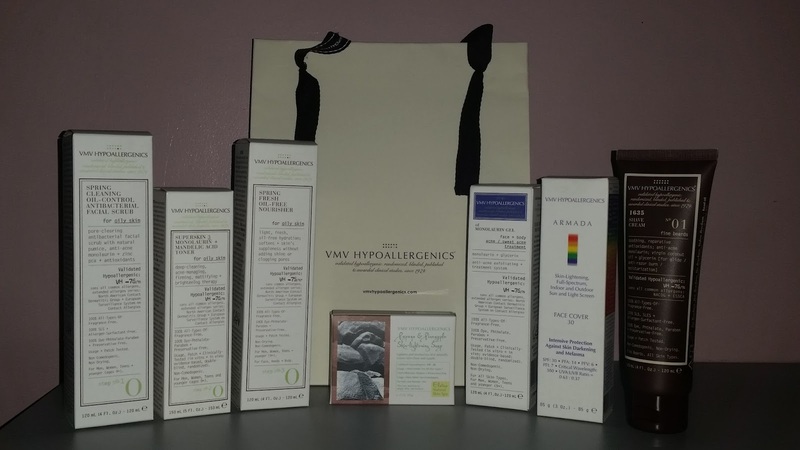 I think it's also important to mention that VMV Hypoallergenics always seem to have a promo so it's refreshing to visit their branches or online shop regularly. Last time I checked, they're giving out a full-sized product for every single purchase worth Php 3,500. VMV Hypoallergenics also gives out a frequency card which you can use to exchange for products when you reach certain points. What's even more awesome is they also give you points for returning paper bags, boxes and empty containers. That's about everything! Feel free to leave me questions if you have any and I'll get them answered as quickly as possible. Thank you for taking the time to read my blog and have a great week! Hey guys! I'm not sure if I mentioned it before but my still-half-filled 500 ml bottle of Bioderma Micelle Solution for sensitive skin unfortunately got thrown away. I literally freaked out when my mom said she thought it was left over drinking water and got rid of it. Anyway, I can't cry over spilled milk or in this case, spilled micelle water. I thought of repurchasing but I couldn't get myself to accept the astronomical price tag it comes with in the local market. 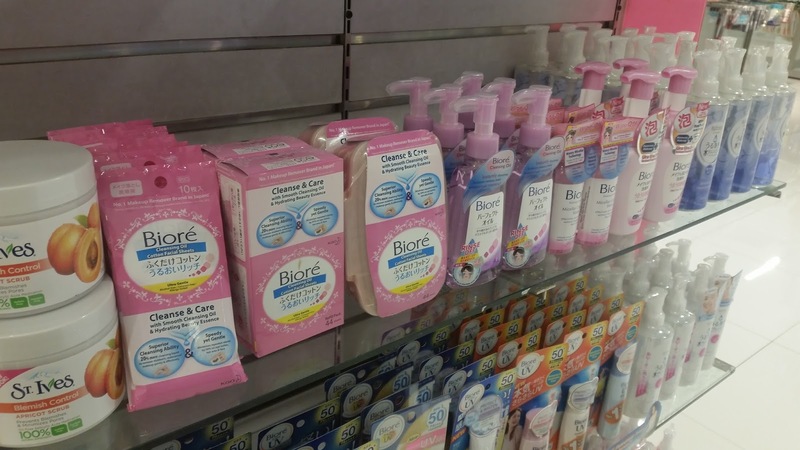 Good thing Bioré came out with a more affordable version called Micellar Cleansing Water. 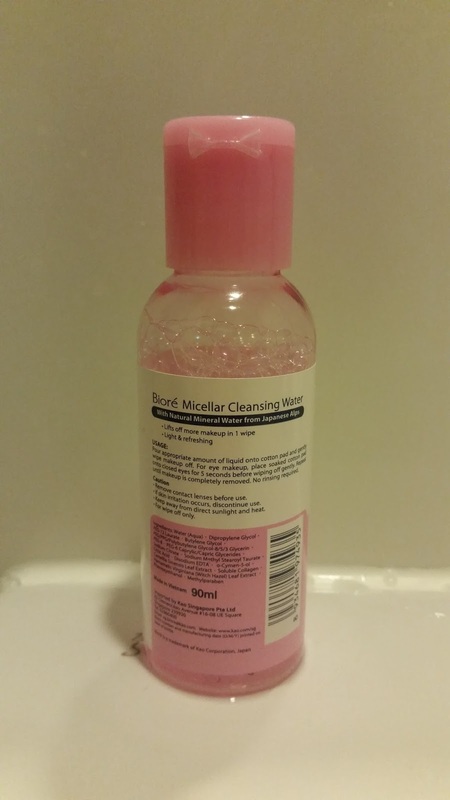 The Bioré Micellar Cleansing Water comes in a 90 ml bottle. It has a flip cover and a narrow spout which makes dispensing easy and spill free. 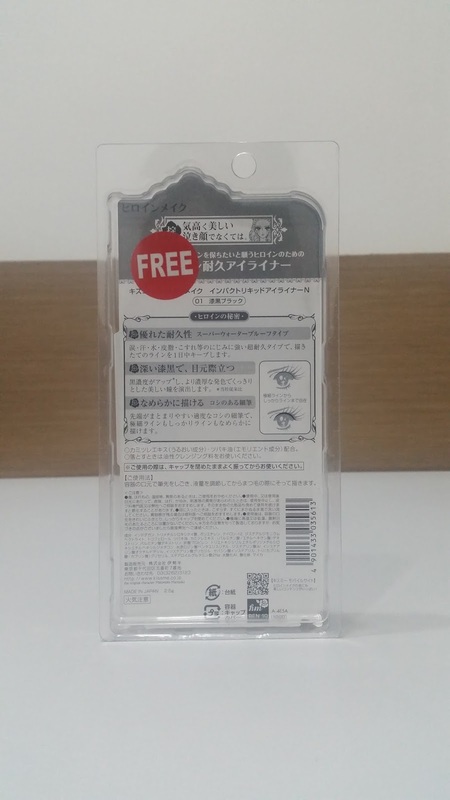 It appears and feels like water, is scent free and doesn't sting even when used on the eyelids. 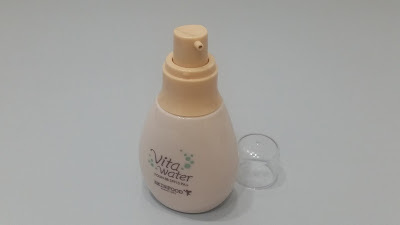 It effectively removes makeup including water proof eye liner and mascara. A lightly soaked cotton pad is enough to eliminate traces of makeup and dirt. I love that it leaves my skin feeling fresh and clean that it's nearly as good as washing my face. 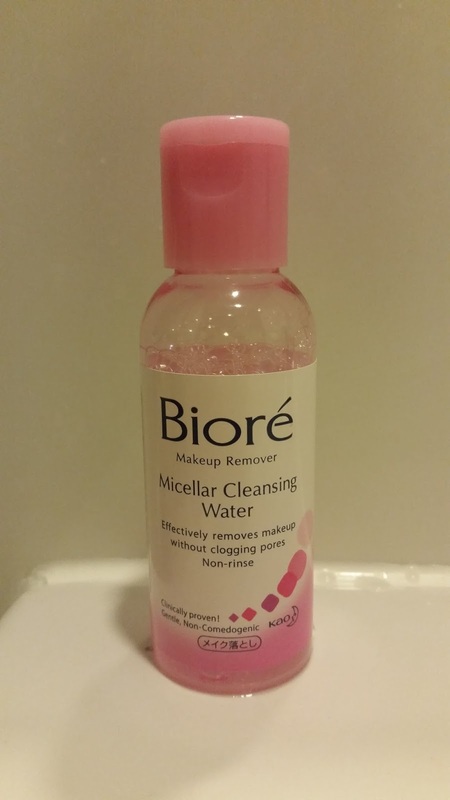 Overall, the Bioré Micellar Cleansing Water is an effective makeup remover which I think comes head to head with Bifesta, my other favorite brand. Both are so similar in apperance, consistency and feel that you can't easily tell them apart. Although Bioré costs only Php 198 per 90 ml bottle, you still get to save more with Bifesta in the long run because it comes in a 300 ml bottle and costs only Php 419. Bioderma on the other hand still tops my list while Bioré and Bifesta equally rank second. So what's your favorite makeup remover? Do share it with me on the comments section below. Thank you for your time and have a great weekend!